Given the growing impact of European regulations on food safety, monitoring the transportation of perishable goods has become important now more than ever before. Thermo King’s TracKing is a web based product using GPRS and GPS technology allowing you to monitor your refrigerated cargo whenever you want, wherever your fleet is. Real time fleet data at your fingertips! The TracKing website is available in English, German, French, Italian, Spanish, Dutch, Hebrew, Finnish, Russian, with many more languages to come. If your trailer is out of GPRS coverage, the TracKing box stores all the data and transmits it when the coverage is re-established, keeping your data safe. TracKing alerts you on the website as well as via SMS and E-mail if you have a real time alarm on your trailer whether they are temperature or unit alarms, door openings, low fuel levels or geo-fencing alarms. 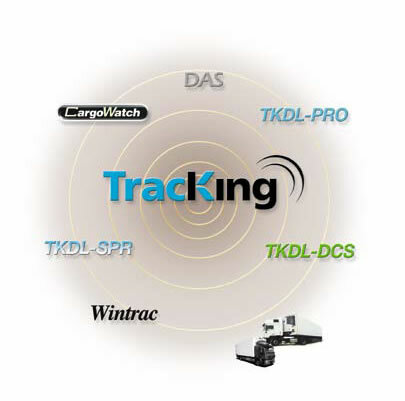 TracKing is compatible with all Thermo King diesel truck and trailer controllers and all three Thermo King dataloggers TKDL, DAS and CargoWatch, all of which are compliant with European standard EN12830. For a flat monthly fee you can choose a contract that best fits your business needs. Access to the TracKing website as well as customer support is included in the contract.